Another day, another new game that's going to be published in North America by Ninja Division. This time around it's Crisis: Tokyo from Edge Entertainment. So for any of you retailers or distributors out there who might want to get some copies of this game, you'll want to go ahead and contact the fine people over at Ninja Division in order to set up an account. The expected release date is Q2 of this year. 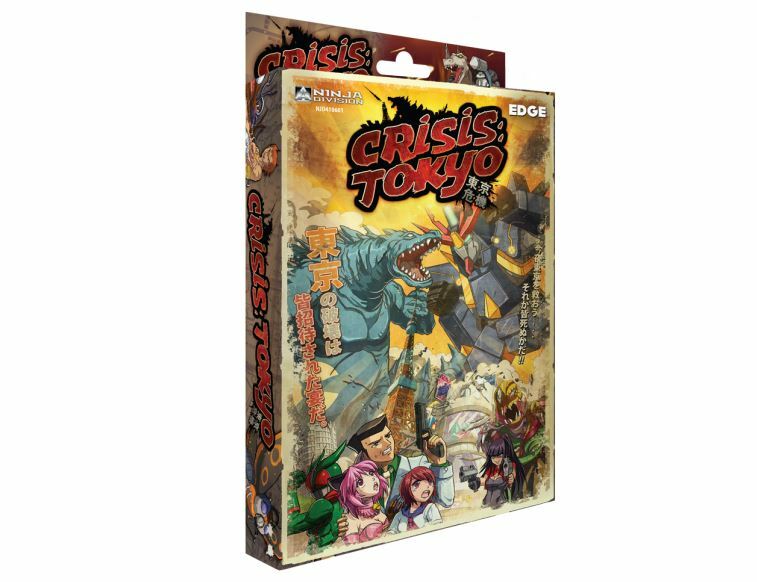 For those that don't know, Crisis: Tokyo puts players in the role of one of the Evil Lords of Tokyo. It's your job to try and crush and destroy the various famous landmarks, while duping the various heroes of the city to try and stop your opponent and not yourself. That poor city. Never really can catch a break, can it?